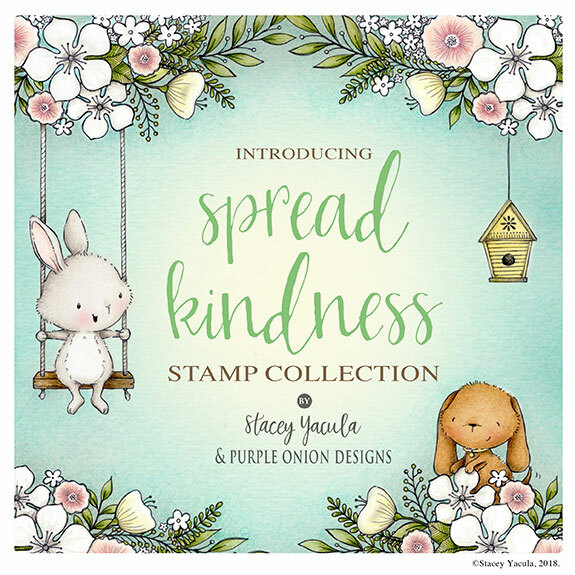 Today I’m back with another cute card featuring some of the new rubber stamps from Stacey Yacula‘s Spread Kindness collection available at Purple Onion Designs. International customers can read the shipping information on Purple Onion Designs blog by clicking here. For today’s project I combined a couple of adorable critters with some floral elements – all from the amazing Spread Kindness collection – using the branches and flowers as design elements to embellish my card. I started to work on this project by stamping Gracie, Dotty and the Floral End Notes elements with Memento Tuxedo black ink and colored them with my Copic markers. Once my coloring was done, I carefully fussy cut all of them. 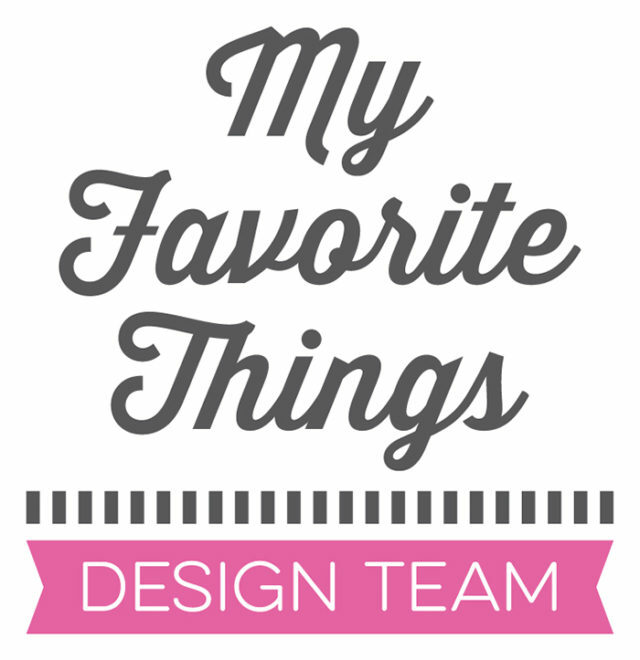 Next, I die-cut a panel out of white cardstock using one of the rectangles from the Wonky Stitched Rectangle STAX by My Favorite Things and repeatedly stamped the branches and floral stems (from the Floral End Notes) with Altenew Morning Frost dye ink to create a custom background. 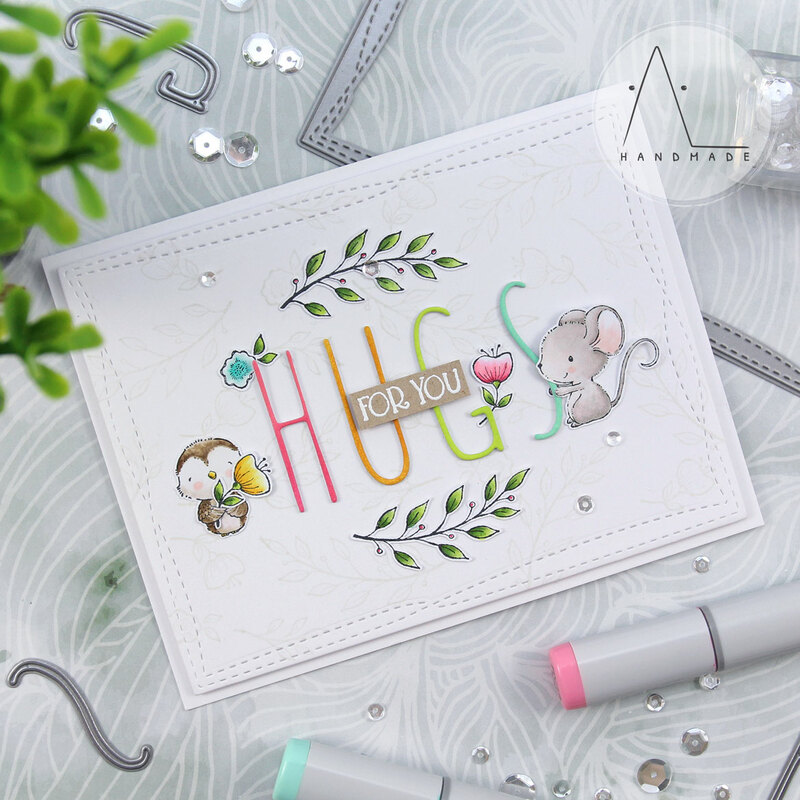 As I wanted to emphasize the sentiment, I die-cut the word “HUGS” out of white cardstock using the Cutaway Alpha Die from Waffle Flower and ink blended them in Worn Lipstick, Wild Honey, Twisted Citron and Cracked Pistachio Distress Oxides. Then, I heat embossed the second half of the sentiment on kraft cardstock using one of the stamps from the Essential Thoughts Sentiment Set. Finally, I mounted the sentiment in the middle of my front panel and added the critters and all the floral elements around it to create a cute composition. I also added a couple of sparkling clear sequins as embellishment.